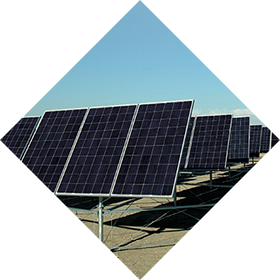 A revolution in constructing solar power plant. - Gigasolar Co.,LTD. HEAVY MACHINERY page was updated. A revolution in constructing solar power plant. Gigasolar is a all-round producing company which oversees joint ventures for technological development and construction of renewable energy plants. 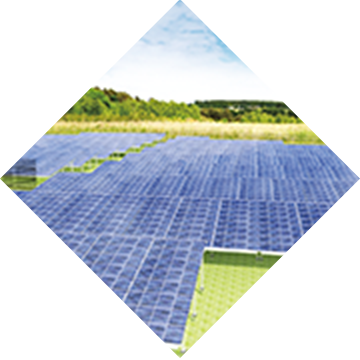 Our biggest strength lies in the level of alliance partners and alliance manufacturers in huge projects related to solar power plant construction. We mobilize the wisdom of a number of expert companies suitable for carrying out large-scale Gigasolar projects. Excellent companies in various fields work in our backbone operations such as finance, security, warranty, tax matters as well as construction, site management, system manufacturers, and sales of construction materials and O&M. We offer projects for solar power plants with highoutput, highefficiency and high profitability which only Gigasolar can accomplish like no other. 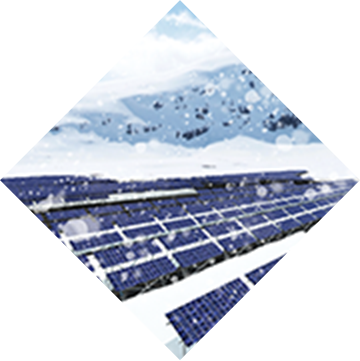 Based on our rich construction experience, we can design power plants which are optimal for areas with heavy snowfalls and even high temperatures and humidity. What is the Three Strengths of Gigasolar? The power of unique ideas of Gigasolar is the decisive answer to construction of power plants that bring high output, high efficiency and high earnings. Labor costs are the highest costs among all costs. Reducing installation time leads to significant cost reductions. Gigasolar proposes plans to reduce installation times by implementing its original heavy machinery for UNIT KOUHO and for maintaining power plants. We developing the Power Screw. It is possible to create a robust foundation even in soft ground and astonishing pull-out force. Gigasolar has proposed a number of frames which apply for any circumstances such as idle land, vacant land, farmland, rooftop. Gigasolar is also driving the project to set solar panels on the desert, including development of dual-axis tracker “SAVANNA TRACKER” whose angle of inclination can be controlled by being informed latitude of setting sites in order to get the sunlight most efficiently. We are continuing on new challenge since we believe possibility of reliable solar power generation for the future generations and turn our attention to energy problem promptly by gathering technology from a range of research teams. We have been trying to develop higher quality products and offer services and also keeping on innovating throughout the past, the present and the future. 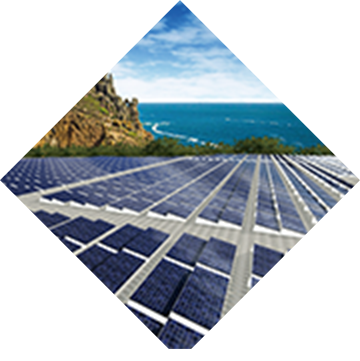 Our biggest strength is the corporate power which can offer highly-efficient, high productive and highly-profitable PV plants that cannot be constructed by only one company in the thoroughgoing system where a large-scale project can be implemented, with cooperation of experts in various fields such as construction, materials, sales, land development and security, finance, O&M. 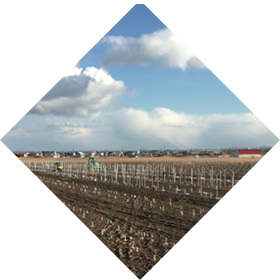 We propose valuable resources which have extensive constructing experiments in any circumstances such as idle land, vacant land, agricultural land, rooftops and so on. 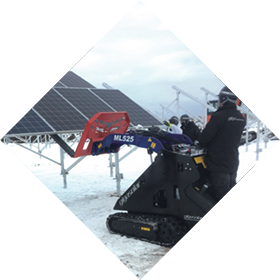 One of Gigasolar’s unique effort is to sell dual-axis tracker “SAVANNA TRACKER” equipped with a snow gauge sensor. It can generate electricity even in snowy areas. We have been seeking a new possibility of increasing investment value of PV plants. We are continuing to develop and struggle in order to realize power plants on desert. Dual-axis tracker ‘SAVANNA TRACKER’ controls its own angle of inclination and turn sunlight into electricity efficiently. UNIT KOUHO - which reduced loss, safe working conditions and high efficiency. It is easy that schedule control, inventory control and quality control. Recently, we have driven project overseas such as Cambodia Malaysia, China and Indonesia.